All the best stories begin at the end, and this story is no exception. 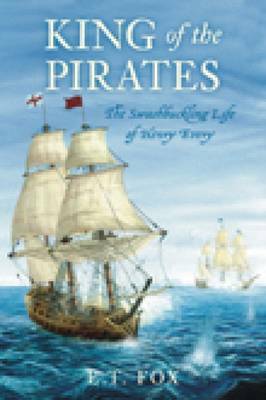 In 1695 Henry Every, a master mariner from the south coast of Devon, led one of the most powerful pirate crews in history on a short but spectacularly victorious cruise in the Red Sea. Their capture of the Grand Moghul's ship, the Gang-i-Sawai, was one of the most successful crimes ever committed, and while it made the fortune of Every's pirates, it plunged the nascent British Empire into turmoil.In his own time Henry Every was the most famous pirate of them all. Despite a manhunt covering four continents, and a very attractive reward on offer, he was never captured and became one of the only famous pirates to enjoy his wealth. In King of the Pirates, for the first time, E.T. Fox presents a credible account of what really happened to the king of the pirates.